Ismail Kadare has been a prolific writer of fiction, although a good deal of it is still not available in English translation, and for a long while novels that did appear in English were actually translated from the French rather than the original Albanian. Some of the novels deal with late twentieth century Albanian politics – like the one I’m writing about here – whereas others are more allegorical, or deal with Albanian history and mythology. The Great Winter (Le Grand Hiver) deals with the break between Albania and the rest of the socialist camp in the early 1960s, pitting Enver Hoxha against Nikita Khrushchev, the Stalinist against the de-bunker of Stalin. 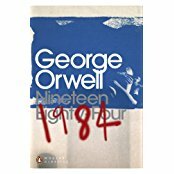 It’s a very long and detailed novel which in many places is much more like a drama-documentary than actual fiction: think recent televised reconstructions of historical events and you have the idea. The times, the people and the attitudes may feel like ancient history now, but the hopes and fears of the characters were very real at the time – the first split in the socialist camp, the isolation of one of its members, and the possibility of war. In some ways, I suppose, it’s meant to be socialist realism: along with the main (fictional) character Besnik, a young translator and journalist who is deeply involved with the crucial meeting at which the rift finally comes into the open, and who is plagued by guilt that he may have mis-translated at a crucial point, thus precipitating events, there is a myriad of minor characters presented in thumbnail and more detailed sketches as a cross-section of Albanian society of the time. One gets quite a clear impression of the limitations and restrictions on life in a strictly-controlled state, with impressions of secret police lurking in the background; equally there is still a great deal of youthful enthusiasm for the construction of a socialist state, and national pride in being able to stand alone. 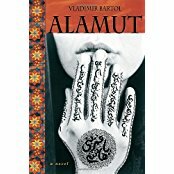 I kept being reminded of some of the epic Russian novels I have read, and certainly a list of all the characters and their part in the story to be able to refer to, would have been a help while reading; the careful and detailed end-notes clarifying the manoeuvres of politics at the time were useful. In the end I found it a very depressing novel. Firstly, the hero gives up – initially through neglect and then later almost through deliberate choice – his fiancee and upcoming marriage because of the momentous importance of the events in which he has become involved: there is no time for the personal. 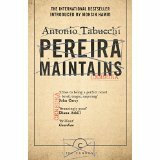 He finds himself anew through political commitment at a time of crisis, in an existential manner. Secondly, it’s depressing because, of course, everything in terms of politics, socialism, enthusiasm for building a new world, has now completely vanished, almost as if it had never been – all that will and power and energy wasted. And this does not mean that I approve of all the evils of those times and hanker after Stalinism: I just wish that some of the bright hope and enthusiasm of those days had survived. Regular readers may have noticed I’ve been quiet lately; I’ve been away, and also re-reading a door-stopper of a novel by the Albanian novelist Ismail Kadare, which I’ll be writing about in my next post. But I thought an explanation of my fascination with Albania and things Albanian might be in order first. When I lived in London, I discovered that there was a tiny Albanian shop in a cellar in a back street in Covent Garden. It sold postcards, books of Comrade Enver Hoxha’s speeches and back copies of the party newspaper Zeri I Popullit, four pages of incredibly badly printed (and incomprehensible) propaganda, and various ethnic nick-nacks. 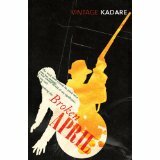 And then, one of Kadare’s novels appeared in English, in the late 1980s – Broken April, I think it was, and I started to learn more about the country, and it fascinated me. I was well and truly hooked. I’d have liked to visit it as a tourist, even at the cost of shaving off my beard, which was one of the conditions under which decadent westerners were allowed in for their decadent but useful currency. Alas, this never happened. But a visit is still on my wish-list, which I’m working my way through. Meantime, I have the novels of their only novelist who has been translated, and who, according to some stories I have read, is potentially in line for the Nobel Prize. If we consider writers’ tactics faced with control and censorship – and Eastern Europe, the Soviet empire for half a century provides copious examples – then we can see them taking risks by writing, and having their books published in the West since they would not be published at home, or as samizdats (typed manuscripts circulated clandestinely), or writing allegorically and hoping perhaps to outwit the censors. Writers in totalitarian societies wrote, impelled by the same muses and motivations as writers in the ‘free’ world. Ismail Kadare produced a wonderful allegory about the Kafkaesque control within the social structures of Albania in a novel allegedly about ancient Egypt, The Pyramid. In freer, Western societies I feel writers have become more introspective, self-indulgent at times, self-interested and self-obsessed, part of an increasingly fragmented literary culture; there is too much navel-gazing. Yes, at one level that’s an almost farcical dismissal of half a century of writing during which voices have been given to, or been seized by many cultural and political subgroups. But this does also represent a fragmentation of any challenge to the dominant cultural and economic hegemony, which remains largely unseen but which dominates every aspect of the way we live. So, onto literature: the DDR was pretty repressive, as far as I remember; Stefan Heym and Christa Wolf pushed at the boundaries and wrote some interesting novels; I know nothing about what was written in Bulgaria during the period; a Romanian teaching colleague introduced me to the bizarre novels of Agota Kristov (available in French, but I’m not sure about English) and Ismail Kadare left Albania and went into exile in Paris and published many interesting novels, coded, allegorical, covering the weird political goings-on in his native land. Broken April, and The Pyramid are a couple I would recommend very highly. I haven’t really explored Hungarian or Polish literature from those times, largely because not an awful lot got translated (I rant about this in various other posts!). Polish writers’ memoirs and essays have fared rather better; Gustaw Herling and Czeslaw Milosz both wrote openly from exile. 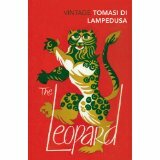 It’s the literature and writers of Czechoslovakia that I have particularly enjoyed. I have found them the most lively, varied and outspoken. I think Josef Skvorecky is probably my favourite. 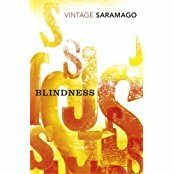 After the events of 1968 he went into exile in Canada, where he enjoyed a long and distinguished academic career as well as being able to write openly about the wartime and postwar events in his homeland, exploring minds and attitudes, how people made compromises with various regimes in order to survive or not. I’d strongly recommend The Engineer of Human Souls (this was Stalin’s description of his ideal writer) as well as his excellent series of detective stories involving his depressive detective, Lieutenant Boruvka. Milan Kundera also went into exile, to Paris, and has probably been the best-known of the Czech emigre writers.